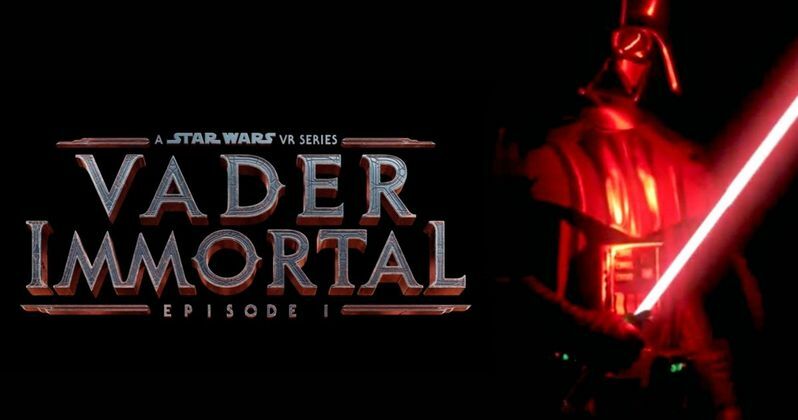 Today ILMxLAB revealed a new trailer and major casting news for its upcoming virtual reality adventure Vader Immortal: A Star Wars VR Series - Episode I. "Much in the way Alan Tudyk did with K-2SO, we needed somebody for this role that could create a unique character using their improvisation and performance skills. Maya truly was the first person we thought of, right from the very beginning, and her contributions and sense of humor have guided ZOE3 every step of the way." Set between the events of Revenge of the Sith and A New Hope, Vader Immortal: A Star Wars VR Series is an original narrative adventure that lets audiences step into the role of a smuggler operating near Mustafar, the volcanic world that Darth Vader calls home. In typical Star Wars fashion, they'll soon find themselves in the middle of a grand adventure as they are unexpectedly pulled out of hyperspace - and eventually come face to face with the Sith Lord himself. "Vader Immortal lets you step inside a Star Wars story, so you're not just observing what's happening. You're the lead character," said director Ben Snow. "As a fan, I've always wanted to feel what it's like to be close to Darth Vader. So to have him walk right up in VR - not only with his mechanical breathing, but talking to and addressing you directly - is something that I think is going to be meaningful for a lot of fans." The series was announced last year as a launch title for the untethered Oculus Quest headset. During the Celebration panel Colum Slevin, Head of Media, AR/VR Experiences Group at Oculus, revealed that the series will also be coming to the company's groundbreaking Oculus Rift family of headsets, including the upcoming Rift S. Said Slevin. "Oculus Quest unlocks new ways to create. It shifts the design paradigm by freeing creators from certain constraints, and the untethered form factor was one of the key reasons we partnered with the ILMxLAB team on this project.What makes Vader Immortal so exciting is that this kind of story, this kind of moment in the Star Wars canon, can only happen in VR. You'll see what I mean the moment you fire up a lightsaber and wield it in your hands." Vader Immortal: A Star Wars VR Series - Episode I is scheduled for release this spring. ILMxLAB is Lucasfilm's immersive entertainment studio, pioneering a new era of interactive storytelling through virtual and mixed reality experiences. Working with acclaimed creators and designers, we transform beloved properties into living worlds, inviting you to step inside and become the hero of your own personal adventure.